At a recent Assembly, Jack Rudd (8/ME) was the lucky recipient of a ‘golden ticket’. This ticket, given at random, meant Headmaster Mr Michael Parker attended each of Jack’s classes, did all his school work and completed all assigned homework as well. Jack shares his perspective on the exciting day below. How did it feel winning the Golden Ticket at Assembly? I felt extremely lucky, especially seeing that I sat on one chair out of around 1500 that had the envelope on it. When I first sat down, I tried to give it away to anyone sitting around me because I thought I would have to go up on the stage. But my mentor Mrs Lak told me to hold on to it! What did you expect going into the day? I thought I would be really nervous sitting with Mr Parker all day. But he was super friendly and asked me a lot of questions about myself which made me feel more at ease. I’m pretty sure all my classmates enjoyed having him in the class, but I’m not sure my teachers were as relaxed as I was! How was the day different to what you expected? I thought that the Headmaster would do less of my work, but he even did my practice maths test for me. I wish we could have found out the mark he achieved. It was great for him to see a day in the life of a student, but I also saw how he experienced each day – I must have heard ‘good morning sir’ a hundred times as we walked between lessons. My favourite part of the day by far was when we had practical PDHPE and we got to throw dodgeballs at the Headmaster. This is not something you get to do every day and I’m sure other people in my class really enjoyed this as well, except for the time someone nearly hit him in the head! Did the Headmaster do all your assignments? Yes, although he didn’t have any homework to do, which was bad luck for me. Also in English we had to write analytical paragraphs which I was happy that I didn’t have to do because it was the last lesson of the day and they can be hard work! 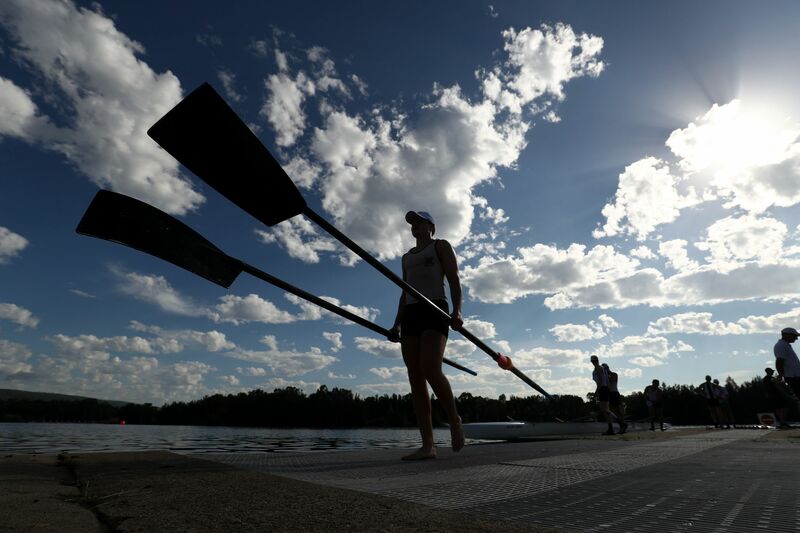 The 122nd AAGPS Head of the River took place on Saturday 23 March at the Sydney International Regatta Centre with Newington fielding seven crews across the day. The two Year 10 VIII crews both finished 4th, with both crews rowing a season personal best, a credit to all boys and coaches involved. 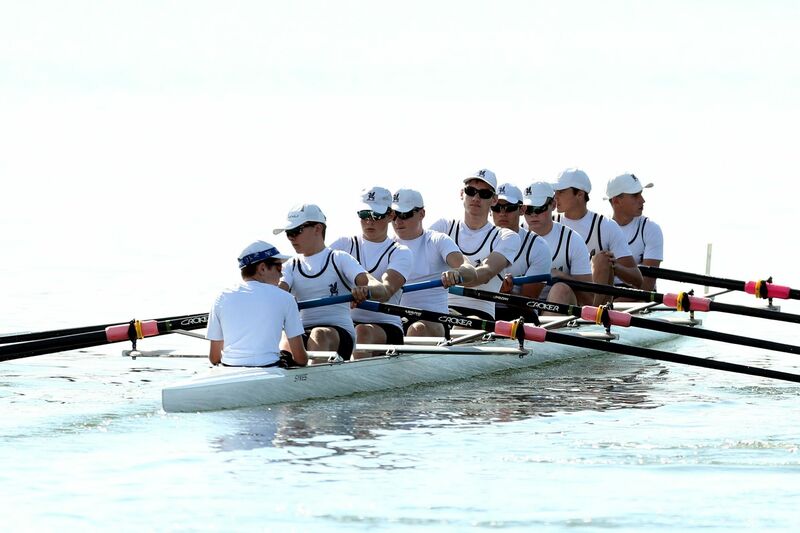 The 3rd and 2nd IVs both finished mid-table, with the 1st IV rowing an outstanding last 250m to finish 3rd. 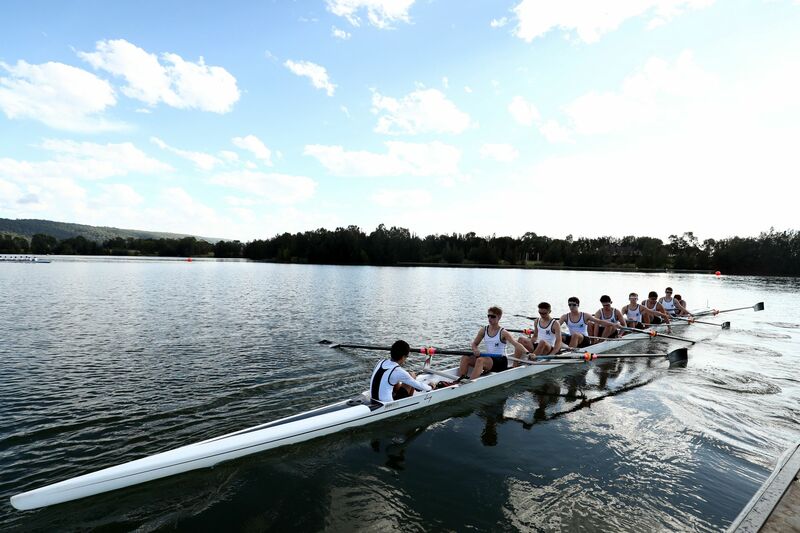 In the 2nd VIII race, Newington rowed a fantastic last 500m to steam home and place 3rd behind Kings and Shore. 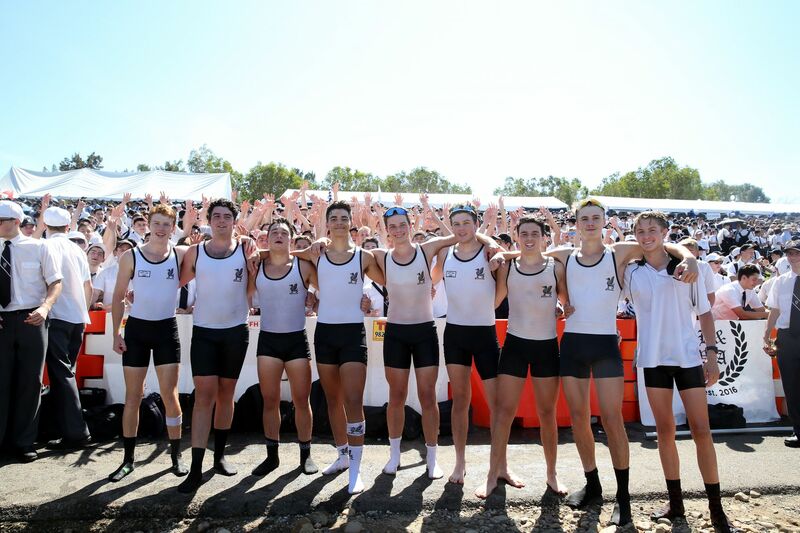 The 1st VIII race was going to be tight across the top six crews with Newington leading at the first 500m and second at the 1000m mark, unfortunately the boys were unable to bring it home and finished in 6th position with Shore victorious. 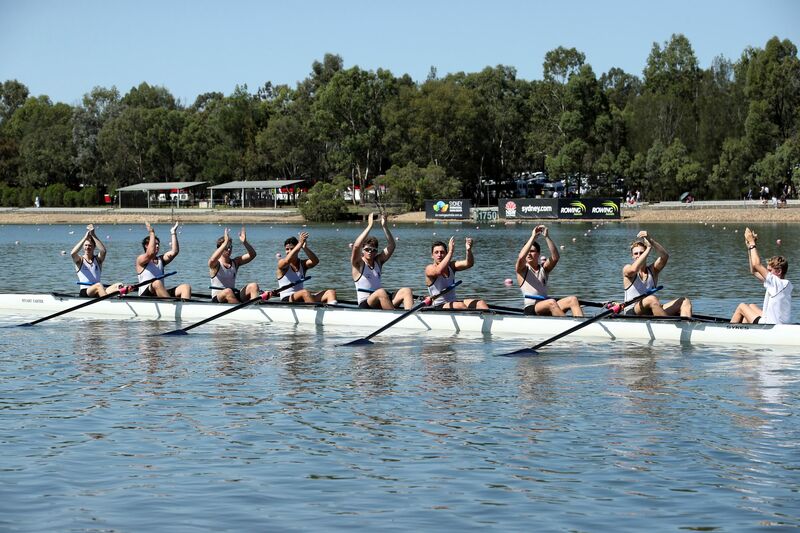 Newington would like to acknowledge our Year 8 and Year 9 rowers who finished second in the Junior Points score behind Shore. Well done to all boys and coaches involved. 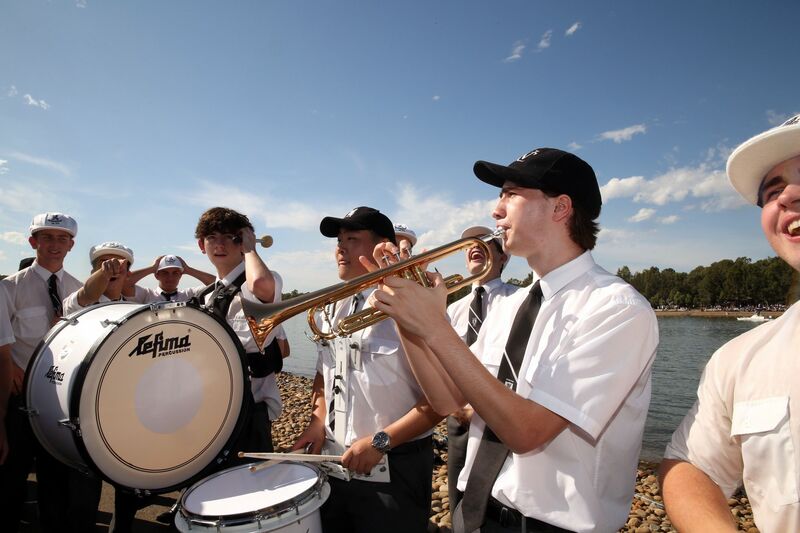 The rowing community would like to thank all Newington students and supporters for their attendance on Saturday. Full results can be found here: AAGPS-Head-of-the-River-2019. NSW Health has issued two important health alerts recently. Measles is a highly contagious viral illness, which is easily spread through the air when an infectious person coughs, sneezes or breathes. The measles virus can remain in the air for short periods, so simply being in the same room as a person with measles can result in infection if you are not immune. Up to one third of measles cases can suffer from diarrhoea, middle ear infections and pneumonia. There are rarer complications such as measles encephalitis (1/1,000), which is swelling of the brain or sub-acute sclerosing pan encephalitis (1/100,000), a fatal neurological disorder, which can present years after a measles infection. Although these cases are uncommon, I sadly remember nursing an 11-year-old boy with sub-acute sclerosing pan encephalitis around 1981 in The Children’s Hospital in Dublin. The measles vaccine was introduced in Ireland in 1985. I also remember having measles myself around age six. I was miserable with sore eyes and horrible rash but thankfully, I did not get any complications. There have been two recent measles cases in Sydney in March – one case involves a man in his twenties staying in a backpackers hostel in Central Sydney and the second was a primary-school-aged, unvaccinated child in Bonnyrigg. These instances follow another two recent unrelated cases, but interestingly both had returned from holidays in South East Asia. People born before 1966 are assumed immune to measles. NSW Health encourages all people 12 months of age or older, and born during or after 1966 to make sure they have received two doses of measles vaccine. For people who are unsure of whether they have previously received two doses, it is safe to receive more than two. Travellers are encouraged to discuss their travel plans with their GP to ensure that they are vaccinated against preventable diseases such as measles prior to travel. Around the world, measles cases increased by 48% between 2017 and 2018 – from World Health Organization data. 10 countries, including Brazil, the Philippines and France, accounted for nearly three-quarters of the total increase in measles cases in 2018. It is possible that some people are still concerned about a supposed link with the MMR vaccine and autism following a report by Wakefield et al in 1998 in the UK. This was later refuted and the authors were found guilty of fraud and of falsifying facts. Wakefield himself was later banned from practising medicine in Britain. A recent study just published on 5 March in Denmark involving 650,000 children finds No evidence that the vaccine increases the risk of autism. This follows numerous other studies, which have found no link, so this myth is emphatically busted. NSW Health continues to investigate an outbreak of salmonella linked to contaminated eggs. Salmonella infection is a type of gastroenteritis caused by the salmonella bacteria. Symptoms of infection include fever, diarrhoea, abdominal cramps and vomiting. Most symptoms last four to seven days but dehydration and more rarely a blood infection can occur. Salmonella is mainly spread to humans when they eat under-cooked food made from infected animals (that is, meat, poultry, eggs, and their by-products). Salmonella can spread from person-to-person from the hands of an infected person. It can also spread from animals to humans. A total of 139 people in NSW have become unwell with this particular outbreak strain since this was first reported last year. People are advised to check their kitchens for any of the impacted brands. The eggs should be either disposed of in the garbage or returned to the place of purchase for a full refund. A receipt of purchase is not required. *With best before dates: 20 MAR 19, 23 MAR 19, 27 MAR 19, 30 MAR 19, 3 APR 19, 6 APR 19, 10 APR 19, 14 APR 19, 17 APR 19, 20 APR 19, 24 APR 19, 27 APR 19, 29 APR 19. Click here for a fact sheet on salmonella. Click here for a link to practical advice when using and storing eggs. 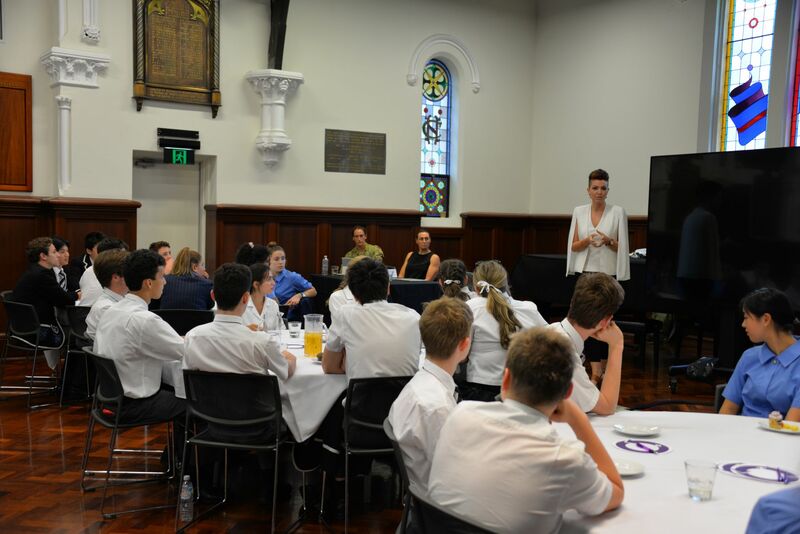 Year 12 students recently had the opportunity to hear from mental health advocate Nic Newling. 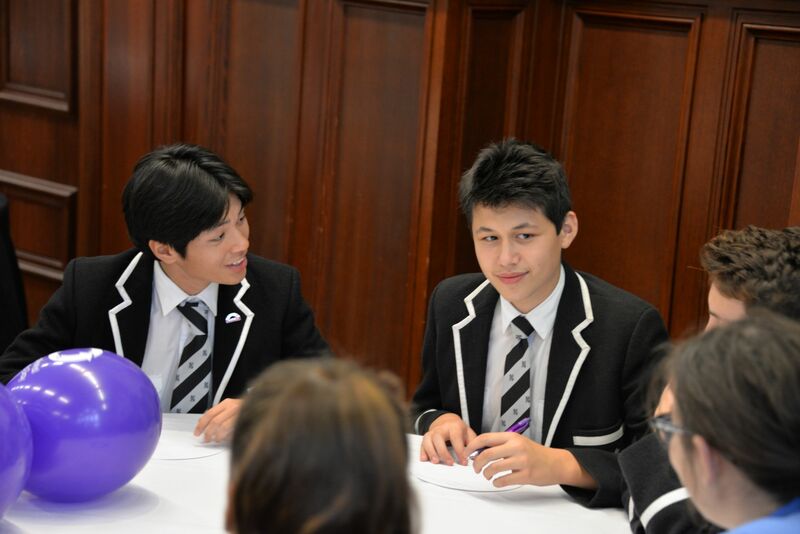 Below, two students share their thoughts on Nic’s presentation. 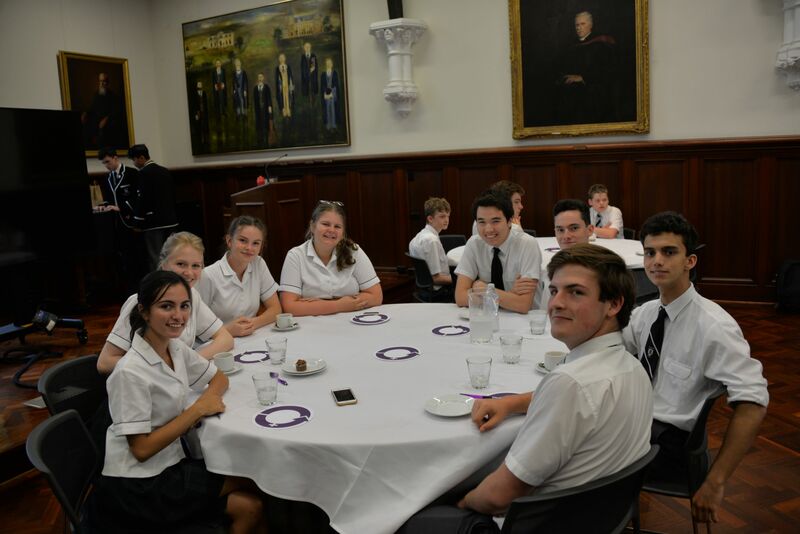 On Thursday 7 March, Newington was lucky to have Nic Newling visit the school to give a talk on mental health as well as to share about his experiences surrounding the subject. He spoke of his challenges with the diagnosis of his bipolar disorder, and the traumatic suicide of his brother and used these as a springboard to help us to understand this challenging time in our lives and to raise awareness for mental health and suicide prevention. Through Nic’s conversational storytelling style, the talk made for a very captivating explanation of the twists and turns of mental health as well as the steps to take should we be faced with similar challenges and the importance of reaching out. 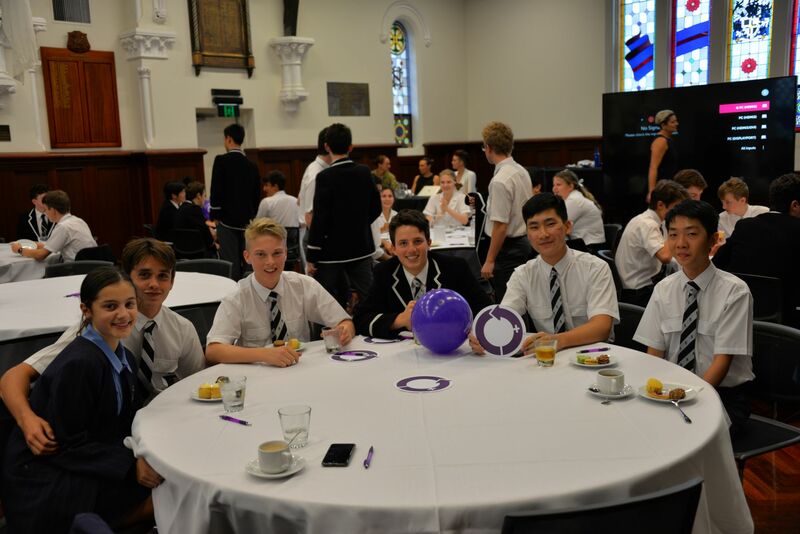 Nic Newling’s experiences with bipolar and the tragic suicide of his brother were very educational and impactful. 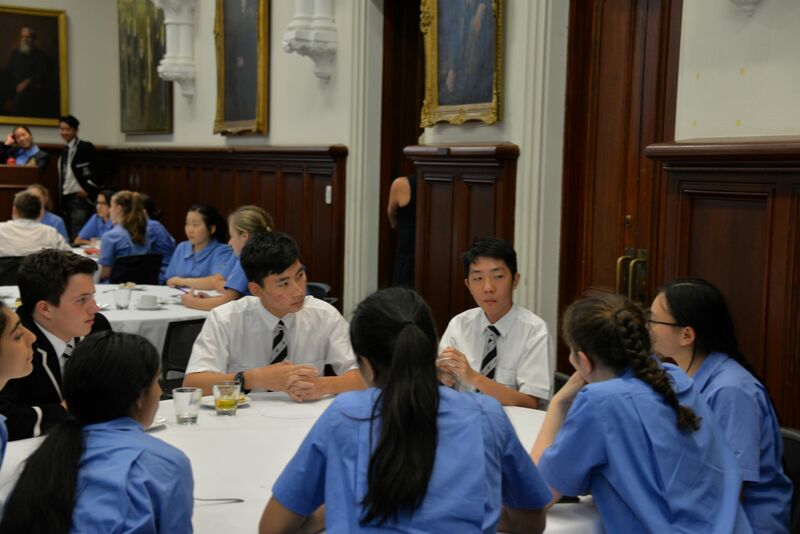 Mr Newling provided us with insights most people our age would not have any experience with themselves. Although mental health issues are becoming increasingly more prevalent in our world, it often goes unnoticed, hence why we were heard this talk in the first place. His story provided us with information on how we can help understand those affected by mental illness and how we can help them. The use of his story allowed us to understand this practically and thus was far more impactful. The Newington Firsts Water Polo team have completed an outright, undefeated Premiership double in the 2018/19 season for the first time since 2015. In what has become an increasingly competitive combined schools tournament our College’s best water polo players stood up to plenty of challenges and were unbeaten after eight gruelling rounds played across Term 4 and Term 1. 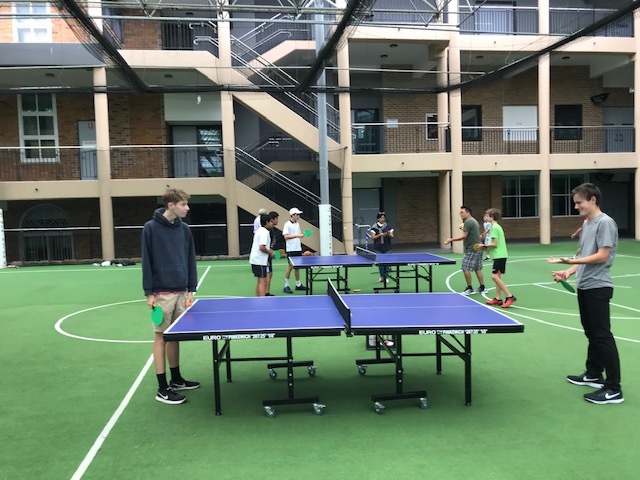 In Term 4, 2018, matches against St Aloysius College, St Joseph’s College and St Ignatius’ College provided heart-stopping and nail-biting moments for players, parents and coaches as the team won by the smallest of margins with minimal time remaining in each encounter. A goal in the dying seconds of the match against Joeys by the rangy number 4, Toby Goldschmidt was a highlight that stands out from the first half of the season. Fast forward to 2019 and the team continued on their winning ways. 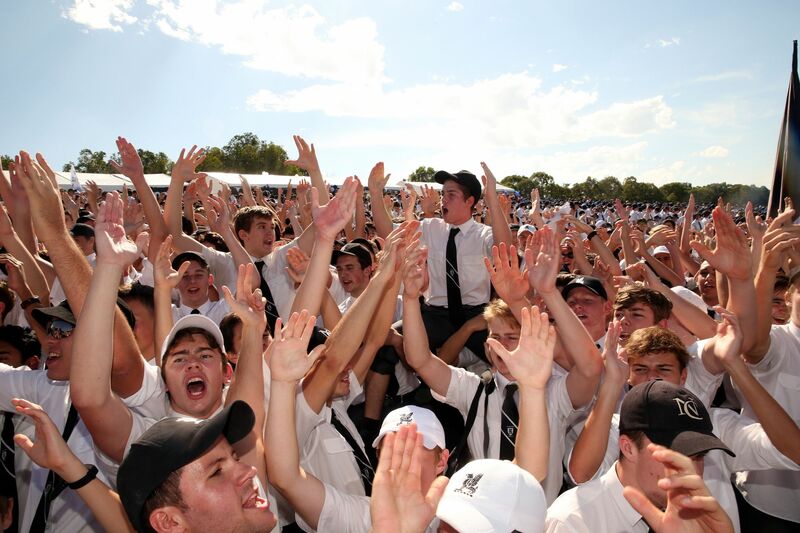 However, an unconvincing win against Barker in Week 3 may have put some doubt in the supporter’s minds. 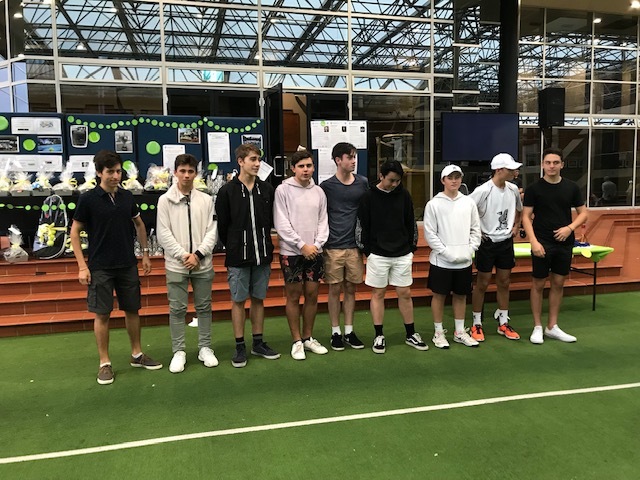 The most telling match of the season was the hyped fixture between Newington and Scots College at Newington Pool on Saturday 23 February. 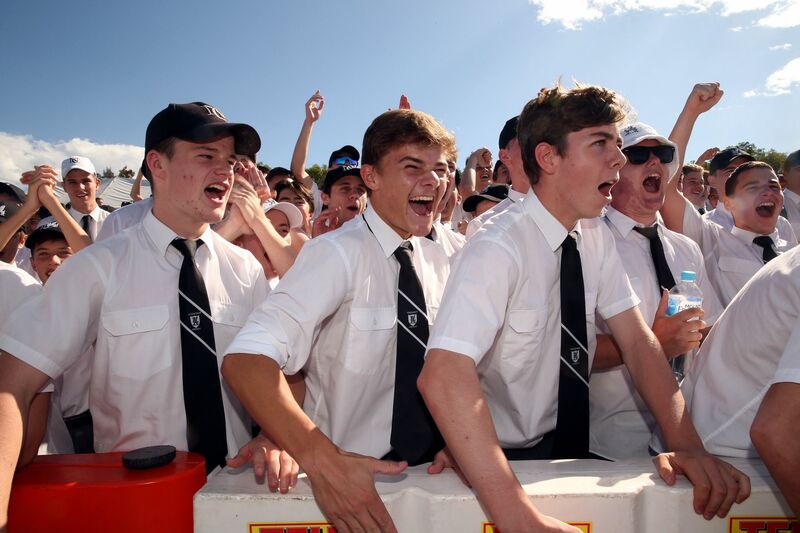 The game resulted in a 10-4 boilover as the boys in black and white steamrolled their opposition in front of a big crowd. On the day, all members of the team played fantastic water polo. 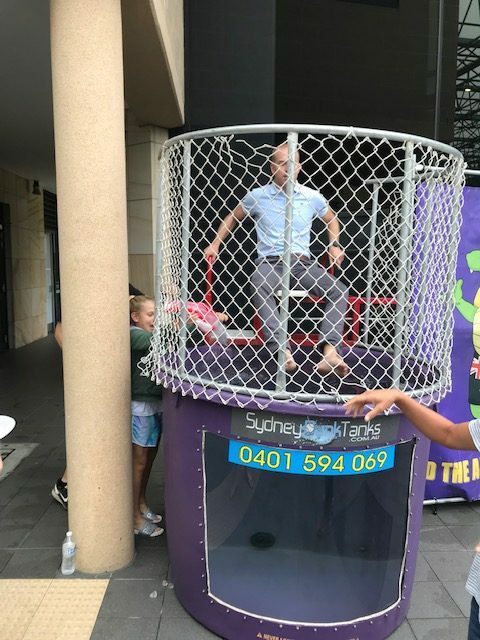 Year 10 star Andrej Grgurevic (10/FL) seemingly ‘had the ball on a string’ while our very own representative goalkeeper, Thomas Harris (12/MO) was unbeatable in the cage. In 1860, in response to the latest Russian invasion scare, the military authorities in New South Wales approved the formation of a regiment of Volunteer Rifles to replace the smaller unit that had hitherto existed. The souvenir menu for an anniversary banquet held in 1910 at the Parramatta Town Hall (as reported in an historical feature in the Cumberland Argus and Fruitgrowers’ Advocate in 1937) provided a brief history of the regiment’s Parramatta Company. Among the 72 citizens who enrolled at Parramatta in September 1860 — ‘Desiring to show their loyalty to the Mother Land’ — were the Headmaster of the King’s School, Frederick Armitage, a teacher and eight students. 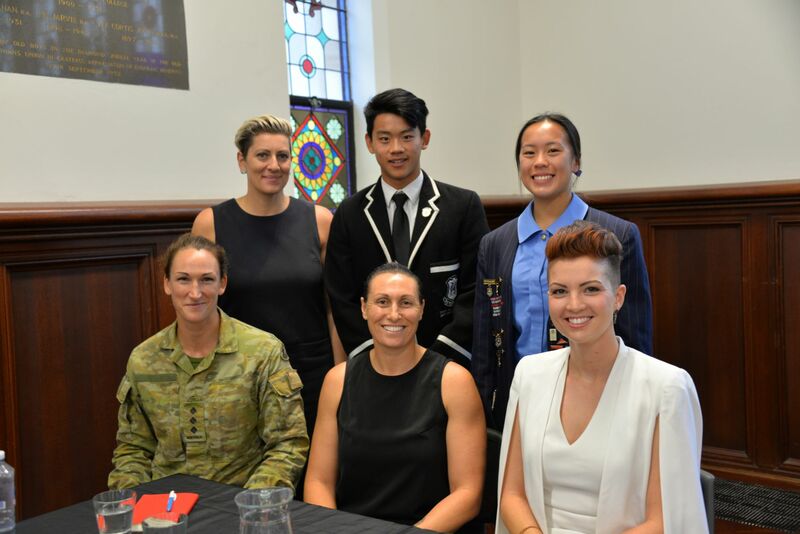 The students were not officially cadets, but we know that at least one — Andrew Houison — was only eleven years old: calling them cadets, rather than soldiers, seems reasonable. We don’t know how long Andrew served in the Parramatta Rifles, but he moved from King’s to Newington on its foundation in July 1863. Aged thirteen, he appears in tenth place in our original admission register. The son of a successful builder and architect in Parramatta, Andrew was one of early Newington’s most prominent students. In October 1863, the interim Head Master, James Egan Moulton, took a group of boys for a swim in nearby Haslam’s Creek. When Moulton, a poor swimmer, got into difficulties, it was Andrew Houison and sixteen-year-old Robert McKeown who rescued him. In 1865 Andrew was Dux of the School. His nephew James followed him at Newington in 1882. 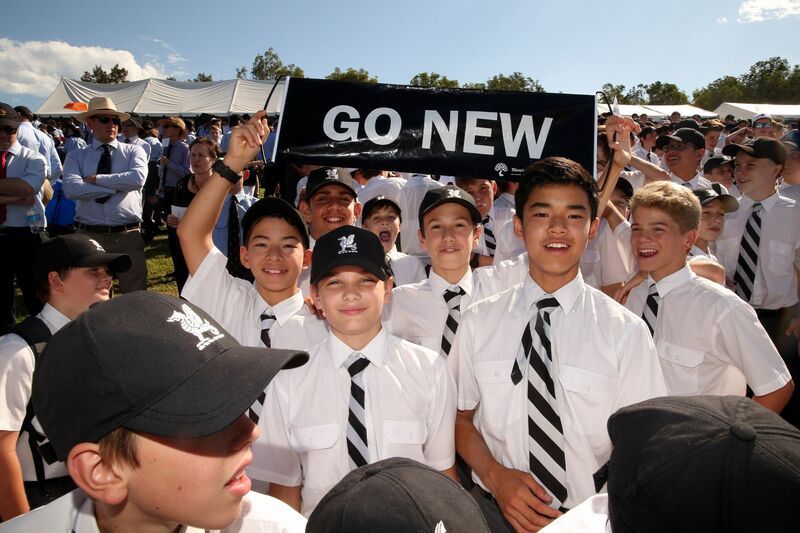 Matriculating to the University of Sydney, Andrew became Newington’s first university graduate. He next studied medicine in Edinburgh and worked with Joseph Lister, the pioneer of antiseptic surgery. Andrew’s medical diploma and a reference letter written by Lister are in the College archives. Declining an opportunity to be Lister’s permanent assistant, Andrew returned to Sydney in 1873 to practise medicine, the first Newingtonian to do so. He was soon appointed Secretary of the NSW Medical Board, in which prestigious position he became well known in medical and official circles. With a keen interest in history, Andrew was one of the founders of the Royal Australian Historical Society, serving as its first President in 1901. As part of the Society’s program he organised field trips to Parramatta to visit old houses and buildings, including his father’s architecture and the places where he had drilled with the Parramatta Rifles forty years earlier. He died in 1912. Illustrated are Andrew Houison, Robert McKeown and James Egan Moulton in 1863; a Rifle Volunteer in 1861 (from Monty Wedd, Australian Military Uniforms, 1800–1982, 1982); and Andrew Houison in 1890. 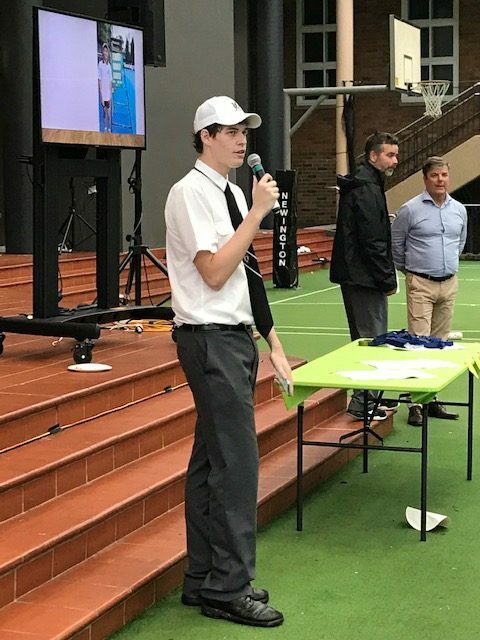 Saturday 16 March was a busy day for Newington College’s Water Polo community. 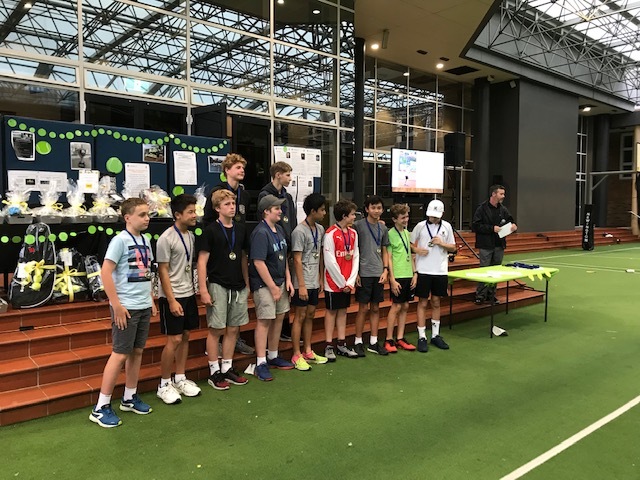 Through the course of the day, the 16As, 2nds and 1sts competed in the Thomas Whalan Cup, racking up points to become joint winners of this GPS competition. 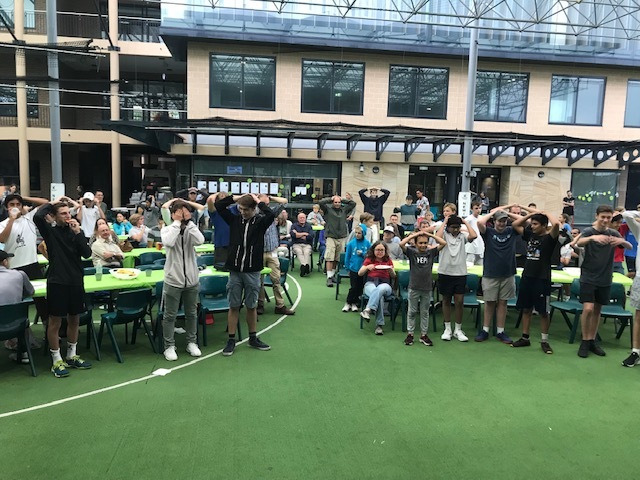 Later that evening, close to 200 Water Polo players and their families gathered in Centenary Hall to celebrate yet another successful season, enjoying the company of good friends, good food and good entertainment. All teams, ranging from U13s through to 1sts, were well represented on the night. Director of Aquatics Mr Ryan Moar, who was also the MC for the night, put together a highlight slideshow that saw cheers emerging from the crowd. An initiative this year was to invite back past captains of Water Polo. Thank you to Jean-Luc Poidevin (ON 2014), Wil Cotterill (ON 2015), Rory Williams (ON 2016), Harry Gilkes (ON 2017) and Aidan Schmitt (ON 2018) for sharing your passion and savage advice about the great water sport. Magician Jackson Aces weaved his way around the crowd throughout the evening, mesmerizing boys and parents alike with his tricks. President of Water Polo Support Group Mr John Harris was amazed that he was missing his watch when he presented Jackson to the crowd! A photo booth was also on hand to provide souvenir photos from the evening. The prestigious annual Evan Fraser Award, went to Aidan Principe (10/PR) this season. Aidan broke through into the Newington 1sts in his final term of Year 9. Aidan received the award for his undeniable passion for Newington Water Polo, his focus on individual and team improvement and the energy he brings his training and competition. Thank you to Mr Ryan Moar and the Water Polo Support Group for organising yet another popular Water Polo End of Season Dinner.